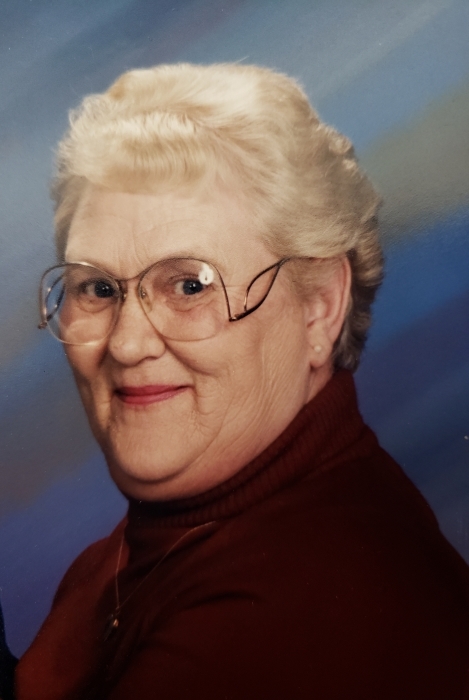 Carol Ann (Simpson) Ling, of Felton, passed away, Thursday, November 15, 2018, in Homestead Manor, Denton, Maryland. She was 83. Carol was born, May 31, 1935, in Eddystone, PA. to the late Earl and Alice C. Bullard Simpson. Carol loved playing musical instruments. At the age of 15 she started playing a pump organ in a small church in Pennsylvania. She also enjoyed doing anything with yarn, crocheting, knitting, and plastic canvas. Carol started working at the age of 16 in Philadelphia for an Insurance Co. in the billing department. In 1953 her family moved to Delaware, where she worked at the Rehoboth Beach Bank in the accounting department. Later Carol worked as a financial secretary at Kent Vo-tech School. She last worked for Delaware Technical & Community College, from which she retired. Carol is preceded in death by her parents, her husband James A. Ling, a brother Richard E. Simpson, a nephew Paul Simpson, and a niece Ashley McCormick Lovelace; and a nephew Logan Lovelace. She is survived by a son Robert A. Kimmey and his wife Sara. Three grandchildren, Nancy E. Adams and her husband Steven, Michael A. Church Kimmey and his wife Kelly, and Jennifer L. Kimmey. Three great-grandchildren, Carson Adams, Maci Church Kimmey and Nicholas Dean. Her brother Edward A. Simpson and his wife Karen, a Sister in-law Judy Simpson, three nephews and five nieces. Services will be held 12 noon, Saturday, November 24, 2018 in Pippin Funeral Home,Inc., 119 West Camden-Wyoming Ave. Wyoming, DE; where family and friends may view 1 hour before. Interment will follow at Barratt's Chapel Cemetery, Frederica, DE. Condolences may be sent via: www.pippinfuneralhome.com.